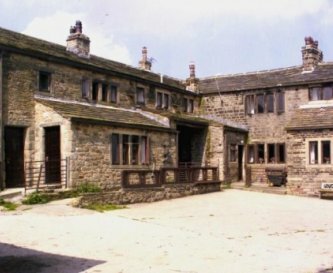 Currer Laithe Farm, Keighley, West Yorkshire, sleeps 4-25 in 10 bedrooms. 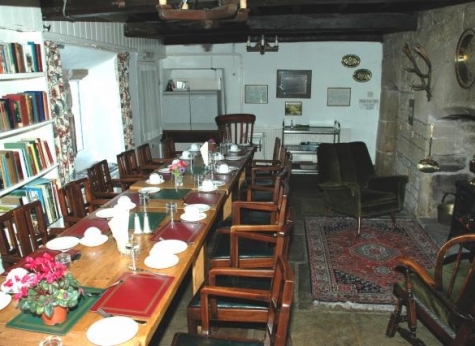 Currer Laithe is a 16th century farm in Airedale, one of the Yorkshire Dales, and offers a great base for school and youth groups, at very reasonable rates. 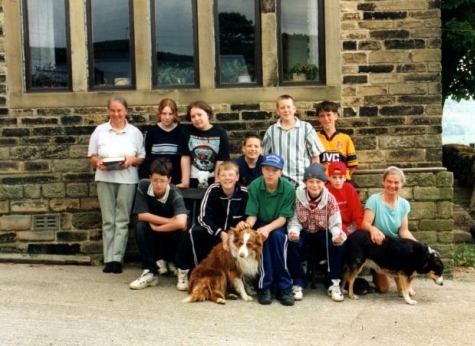 Since 1981, we have had many groups returning to the farm again and again, from the UK and abroad, both from schools and colleges, uniformed groups such as scouts, guides and brownies, and including children with disabilities. 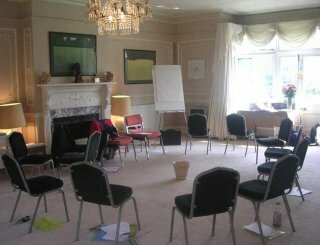 We aim to offer as much flexibility as possible to your group, and are available for short breaks during the week or longer stays. 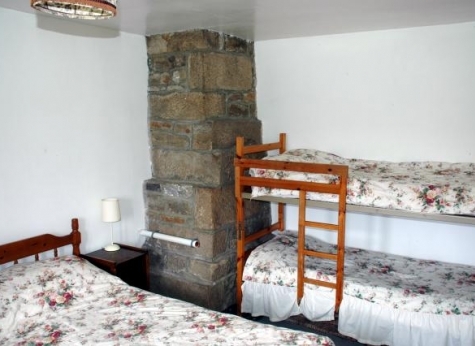 The accommodation is spread over the barn, annex and cottage, all interconnected, and offering 9 bedrooms in total. 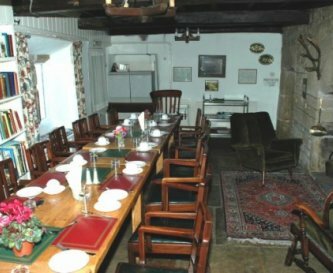 The dining room and living room in the barn can both seat a large number, so the whole group can get together to discuss the days events and plan for the rest of their trip. We have welcomed many disabled guests in the past, and have 3 ground floor bedrooms, 2 of which have en suite facilities with walk-in showers. Ramps are also available so that the ground floor is fully accessible. We cannot provide catering, but the kitchen is well equipped and local supermarkets will deliver supplies. If your group is larger, we are happy for some members to camp in the grounds. Please get in touch (by phone) - we are flexible and will try to accommodate your needs. 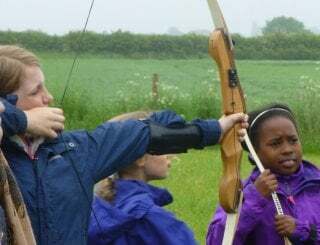 There's lots of outside space, and groups are welcome to explore the farm, play games in one of our fields or have a barbecue in the grounds. 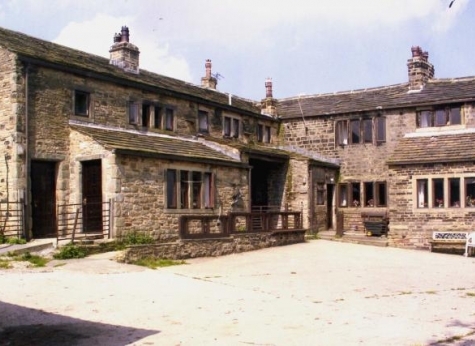 The area offers lots of opportunities to school groups, with canals and steam railways locally, National Trust properties, Haworth (home of the Bronte sisters), and next door is St Ives Country Park with a lake, woodland, play area and a nature trail. 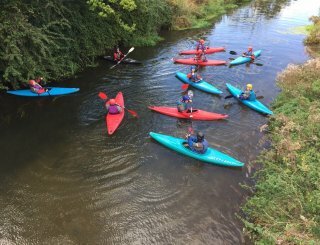 Airedale, lying between Calderdale and Wharfedale, offers lots of outdoor activities to choose from, and is perfect for all youth groups. Halifax and Leeds, Skipton and York are easily accessible. Has seating for up to 24 people. There is no Wi-Fi available. 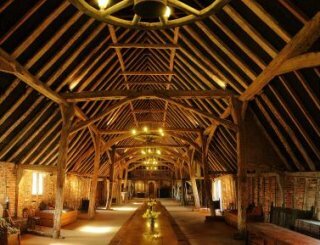 Barn has 6 bedrooms: 3 twin, 1 double + bunks, 1 double + single, 1 with 3 singles. Annex: 1 double, 1 bunks. 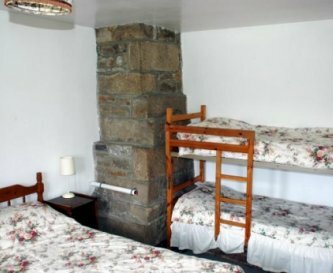 Cottage: 1 double, 1 with 3 singles. Four bedrooms are suitable for disabled guests. Riddled with footpaths. We farm 190-acres of pasture and woodland where we rear cattle, and have goats, donkeys, ducks, cats and dogs. Ample. Space for cars, mini-buses and even a bus. Near Long Lee (0.5 miles) and we are just 4 miles to Haworth. We are set half a mile away from the village of Long Lee which has a post office, mini-mart, pharmacy, pub, church, chapel and doctors' surgery. 0.5 miles away in Long Lee. Midweek rates available - 4 nights - at same rate as 3 night weekend. Please call us to discuss your requirements and group.